The Influencer badge is given to pros whose advice and knowledgeable posts are most appreciated by the Houzz community. The Recommended badge goes only to top-rated professionals on Houzz. 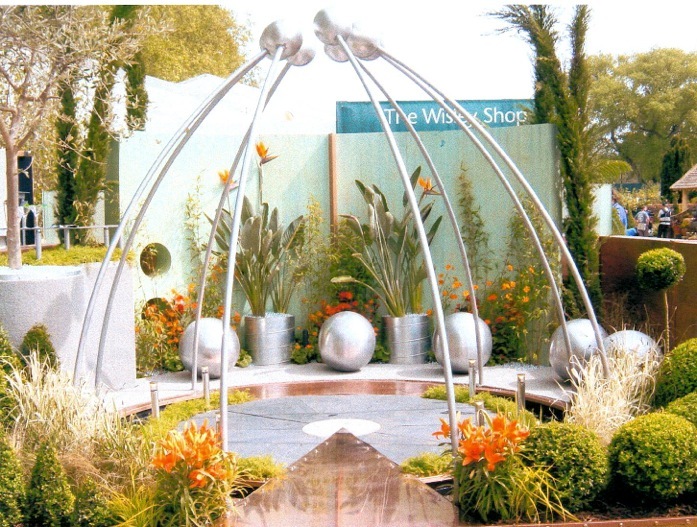 I don’t really go in for competitions but am proud to say I won a silver medal at my first & only foray into the ultimate of competitions – RHS Chelsea Flower Show. I also won the much coveted BBC People’s Choice Award for my garden in the City category. It was called “The Chic Hip & Groovy Dance Pad” & was designed purely for fun & to grab attention – it did! Hardly surprising with a name like that it got lots of interest – worldwide indeed. My Circles garden was shortlisted for the Society of Garden Designers review which was quite an honour as was my Community garden too. I get all the praise I need from my clients – there are quotes dotted throughout my site here. These are a few quotes from my Chelsea debut.